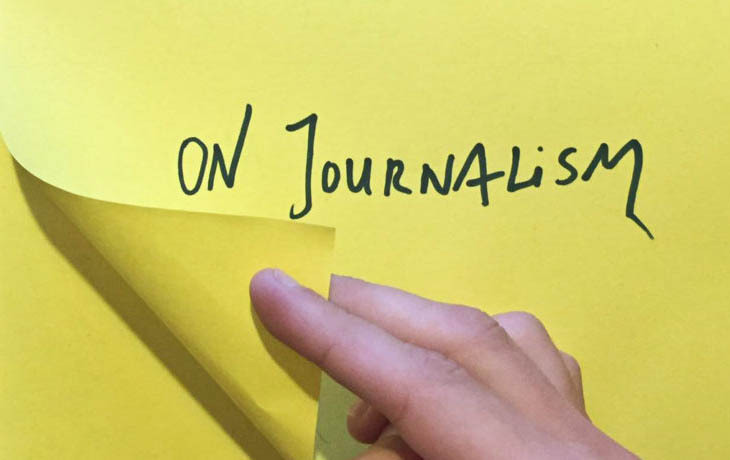 In summer 2013, the Center for Research, Documentation and Pulication (CRDP) organized a Media and Transitional Justice workshop, at which more than 15 journalists from Kosovo discussed several reasons why the media is reluctant to tackle topics around transitional justice and dealing with the past. Dealing with the past is a post-conflict process aimed at rebuilding war-torn societies and ensuring lasting peace, by rehabilitating victims, fighting impunity and restablishing the rule of law. Transitional justice refers to the set of judicial and non-judicial measures that have been implemented by different countries in order to redress the legacies of massive human rights abuses. Both concepts are similar; the reason we prefer to use dealing with the past is that we know where it starts — in the immediate aftermath of the conflict — but we don’t know where it ends. It is a long process. The role of the media in shaping public opinion and perceptions on justice, rights and democracy gives it significant influence over the processes involved in transitional justice. However, journalists are often not trained on the sensitivity necessary in mediating societal dialogue around these issues, or aware of their potential for actively promoting transitional justice mechanisms. There seemed to be a perception at the conference that dealing with the past and transitional justice are highly specialized topics on which only a specialized journalist can report; and yes, there is some truth in this. Besides professional preparation, a journalist should be a skilled researcher with a passion for topics related to dealing with the past. They should be able to challenge and exceed their editorial policies. However, it is the media owners’ financial interests that deter them from pursuing sensitive cases, or cases that might be damaging to high profile officials. Following such cases might harm the financial sustainability of the medium by affecting its relationships with key players in the business and political community, or by damaging its chances of selling advertizing space to public institutions. After the 1999 armed conflict in Kosovo, and as a result of donors’ attempts to incentivize investigative journalism, a perception has developed that this type of journalism should focus on issues of corruption or rule of law rather than criminal justice. Social issues happen to be unattractive for exploration by this type of inquiry. This is only aggravated by the overall lack of personal interest of journalists in dealing with sensitive and difficult cases that one might encounter in processes of transitional justice, particularly because of these cases’ unappealing nature. Additionally, investigating issues of transitional justice and dealing with the past takes time and effort. For media outlets this means that journalists will be focusing on one thing for a rather long period of time. Such practice is financially burdensome, especially for media which, for financial reasons, rely on one journalist to cover several sections. In practice, in order to work with families of victims, one has to invest time in building a trust relationship with them — a practice which for some is a luxury. On this note, journalists often face difficulties in accessing victims themselves, or members of their families, and building trust with them. An additional barrier can be journalists’ hesitation to investigate due to a fear of disturbing a balanced coverage of war crimes, presenting a narrative of victim versus perpetrator in the polarized environment of post-conflict Kosovo. Doing so could lead to them being labeled as traitors and threaten their security. There is a lack of protection available to journalists covering sensitive cases. Another question to be raised here is over the preparedness of local media and journalists to face the increasing number of cases dealt with in local courts. Special Prosecutor Besim Kelmendi, in the same workshop organized by CRDP in 2013, brought up issues around media access to the judiciary in war crimes cases. A summary of the judiciary bodies in place in Kosovo which deal with war crimes was given to the journalists, along with an explanation of the main barriers to criminal prosecution in such cases. Such barriers included difficulties in collection of evidence, difficulties in cooperation with the Republic of Serbia because of the political status, witness protection and overall pressure on the judiciary. Prosecutor Kelmendi emphasized the media’s importance in influencing popular opinion and challenging false myths, as well as its impact upon the judiciary’s work. The portrayal of war crimes cases in the media can lead to the labelling of prosecutors as “patriots” or “traitors.” This is exacerbated by an established practice by which lawyers go to the media to publicize their cases, while prosecutors are not allowed to do so because of their public relations policies. In this way, the public only gets to hear one side of the story. Additionally, prosecutors face the possibility of political interference, which gives the impression that failing to adhere to certain demands could cost them their jobs. As the 2013 CRDP report, Struggle on All Fronts , concludes: With their power to shape public discourse and the way we look back at the past, journalists in newsrooms across Kosovo should encourage coverage and debate of issues connected to our collective past — not only war crimes as they fall within the frame of transitional justice, but storytelling about the real lives of those affected by war. With a new special court in the Hague poised to start work on cases involving crimes committed during and immediately following the Kosovo war, Kosovar journalists should finally get serious. This means that the focus should not just be on press releases; instead, unlike over the indictments and verdicts of the International Criminal Tribunal for the former Yugoslavia, journalists should improve their professional and interpretational skills in analysing verdicts and international norms and their implications. * Nora Ahmetaj was a member of the Regional Coordination Council of Coalition for Regional Truth Commission (RECOM) for war crimes committed during the years 1991-2001 in Former Yugoslavia. She specializes in human rights, transformation of peace and conflict, and transitional justice.